Our process server in Northampton has been very busy in November. Our team has been busy serving all sorts of documents from N39s to Notices to Quit and Residency Orders, to name but a few of the documents that our agents serve on a regular basis. The process serve that we are talking about today was a divorce petition. Alpha 1 Legal Services process server in Northampton received a phone call from a local solicitor. The solicitor was well known for handling divorce cases. Our instructing solicitor advised that she had all the required information in order to make the service go as smoothly as possible. The solicitor requested that the service be carried out within 48 hours. Our process server requested the home and work address of the respondent. Home address details were provided, along with a current copy of a picture as the respondent was currently unemployed, and so was expected to be at home. The process server picked up the documents from the solicitor the same day. Using Google Maps our process server found the home address of the respondent and planned the route. Unfortunately, the respondent wasn’t home. Rather than give up our process server went back to his car and waited for half an hour. Sure enough the respondent came back with some shopping bags. Our process server gave the respondent a chance to put her bags down and then went and rang the doorbell. The lady answered, took the documents and the service was complete. Our process server went straight back and provided proof of the service to the solicitor. Alpha 1 Legal Service process server in Northampton provides a comprehensive process serving service. We also have a nationwide network of process servers. 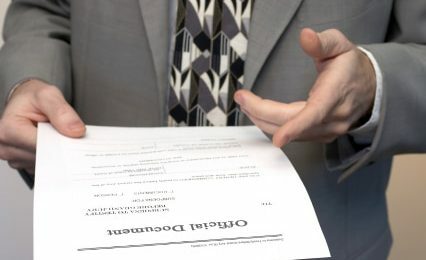 All of our process servers serve your documents professionally and promptly.